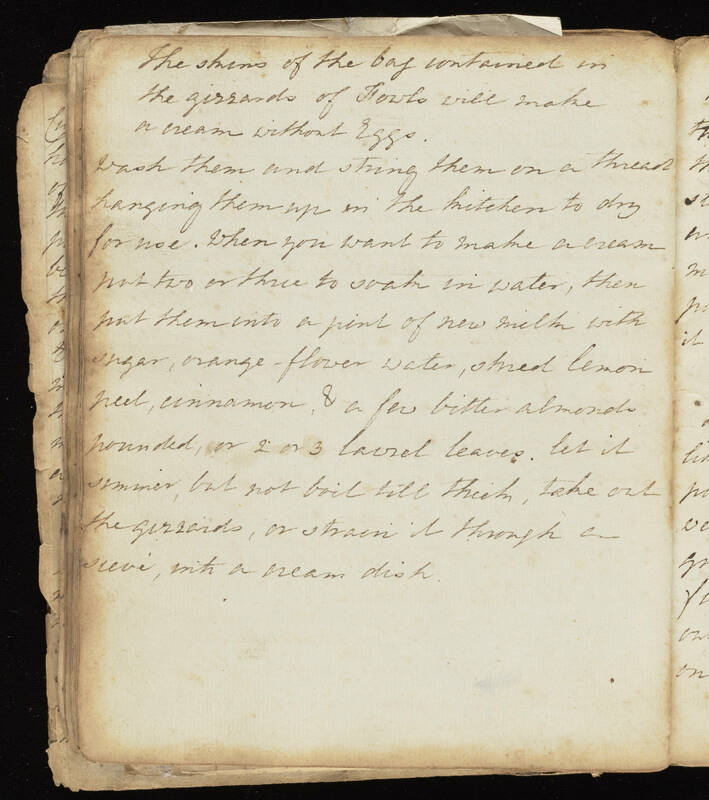 Miss Collins recipe collection manuscript, 19th century? The shins of the [bof?] contained in the gizzards if fowls will make a cream without eggs. Wash them and string them on a thread hanging them up in the kitchen to dry for now. When you want to make a cream put two or three to soak in water, then put them into a pint of new milk with sugar, orange-flower water, shred lemon peel, cinnamon, & a few bitter almonds pounded, or 2 or 3 laurel leaves. Let it simmer, but not boil till thick, take out the gizzards, or strain it through a sieve, with a [cream?] dish.